The latest collection from Axminster Carpets, Hazy Days, has won Best Residential Carpet of the Year at the International Wool Flooring Awards. They also were named finalists for best commercial carpet and also the award for design innovation. With over 250 entrants across the categories Axminster Carpets was awarded the accolade for the second year running – this year for the new Hazy Days range, which features stunning patterns and hushed pared-back tones. Offering elegant geometrics to charming botanical patterns, Hazy Days is a versatile collection of grey and soft dove carpets with a twist. 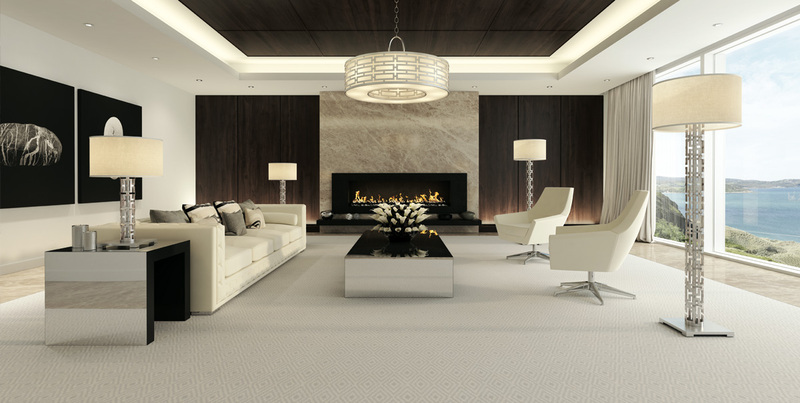 Blending an assortment of exquisite designs with a subtle neutral palette, this modern range delivers a stylish and timeless look as well as the luxury and durability of a pure wool carpet. Woven in Axminster, Devon using only the highest quality wool, each carpet delivers beautiful crisp design and as well as unmistakable Axminster Carpets’ luxury under foot. Woven in 100% wool this collection is not only elegant and luxurious but will provide a long-lasting look and superior performance. This fantastic natural material actively repels dirt, is easy to clean and has the added benefit of excellent acoustic qualities. Commenting on the awards, Peter Buckley at Buckley for Flooring said “We’re not surprised that Axminsters’ latest collection has won this prestigious award as it covers tastes from contemporary to classic styles all inspired by interior trends of muted colours and pattern. The collection exudes sophistication and charm and is perfect for those seeking a timeless yet contemporary feel.” Why not visit Buckley for Flooring today and see this ward winning collection?